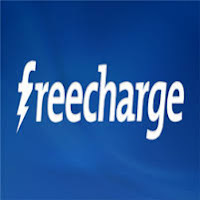 Freecharge 50 Cb on Rs.10 Offer - Freecharge is back with an amazing offer for new users,freecharge is offering 50 cashback on Rs.10 Recharge for New Users,But same as we have done previously with old freecharge app from which all users can avail this offers. 7.You will get Rs.50 Cashback instantly. 1.Offer Valid only for New Freecharge Users in freecharge android app. 2.Offer Valid once per user/DC/CC. 4.Offer not valid on Airtel Recharges. 5.Cashback to be offered in form of EGV which can be redeemed in next 6 months from date of credit.